Yokatta. This is the first time for KL to released Kindaichi Shounen no Jikenbo Comics in English. But, it's just one chapter. 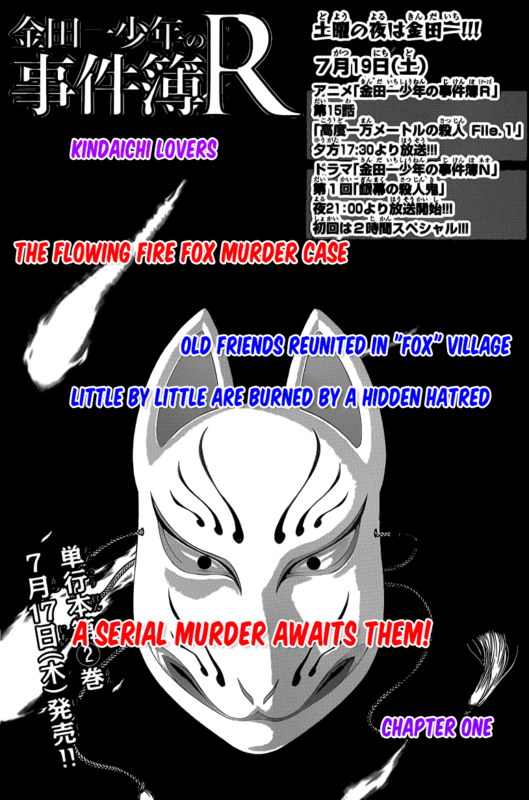 This case is called "The Flowing Fire Fox Murder Case". It's the third case of the Returns Series. By the way, this case is still on-going in Japan. Hehehe, so let's check it out. You can visit our Fan Page in Facebook, "Kindaichi Lovers". Maybe you can release both english and indonesian scans simultaneusly? Btw yg return series kapan ya terbit di Indonesia? so happy that you start translating the manga in english!! !